We’ve got as hum-dinger of a week ahead. With the Davos Forum set to kick off, earnings season in full flight, MLK Day and last week’s four-day hot-streak to match up to, this week should be another cracker. All major indices finished last week in the green, posting the best start to a year since 1987! This is largely thanks to a bumper earnings season which has seen 70% of companies exceeding their bottom-line estimates so far. And the magic is not over yet. Only 13% of the S&P 500’s market cap has reported Q4 earnings and there are some big ones to come this week, including; Johnson & Johnson, IBM, P&G, Starbucks and Ford. US markets will be closed for MLK Day today, but will be up and running tomorrow again in time for investors to look closely for any important developments in the World Economic Forum in Davos, Switzerland. 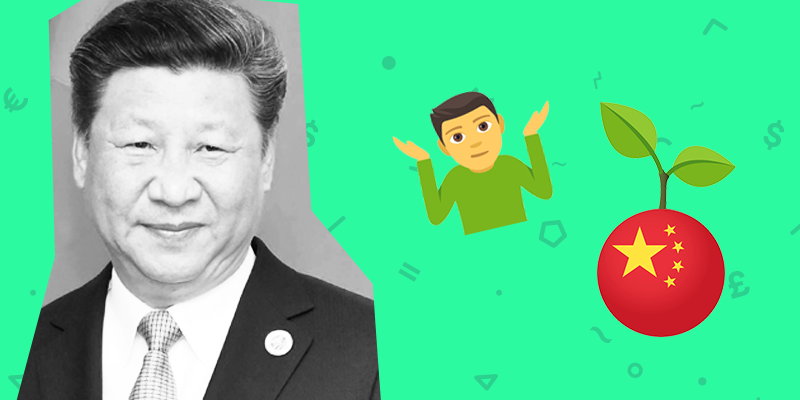 Check out our blog for an in-depth analysis of what you can expect in Davos this week! 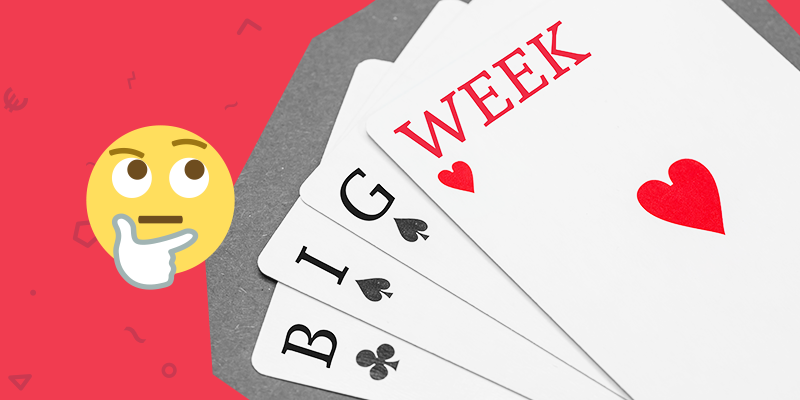 So gear up for another big week, people! Markets should be expecting a missing persons report later today after China posted its GDP data because growth was nowhere to be found. Growth figures came in at a staggering 6.4% for the fourth quarter, making 2018 growth the weakest in 28 years! The fact that the second largest economy in the world is cooling so much has spiked concerns about the stability of the global economy. China has been responsible for roughly a third of global growth in recent years, and the persistent slowdown has taken its toll on profits for firms, such as Apple and automakers. Even though some areas of the Chinese economy, such as industrial output and retail sales, grew marginally, the overall picture still remains mixed with lots of work still to be done to get back to the China of old. We already know more stimulus packages are on their way and a trade deal is looking hopeful, but without a stark turnaround in investment and credit growth the growth levels of the past may remain a distant dream. Come on China. Let’s kick it up a gear. Today we say goodbye to a legend in the passive and retail investment space. 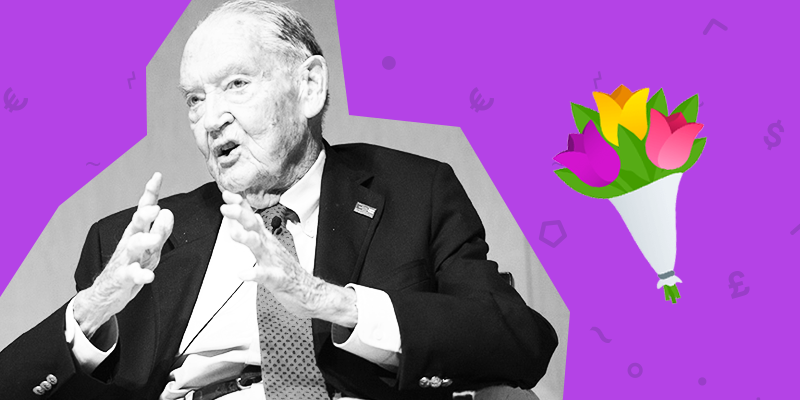 Jack Bogle, Founder of Vanguard, the world’s second largest investment firm, passed away this week, but will never be forgotten. Jack will always be remembered for his key contributions to the ETF industry, which were designed to help everyday investors gain access to a broader basket of stocks and diversify their portfolios in the process. “Jack did more for American investors as a whole than any individual I’ve known. A lot of Wall Street is devoted to charging a lot for nothing. He charged nothing to accomplish a huge amount,” – Warren Buffett. RIP Mr. Bogle, you will be missed! 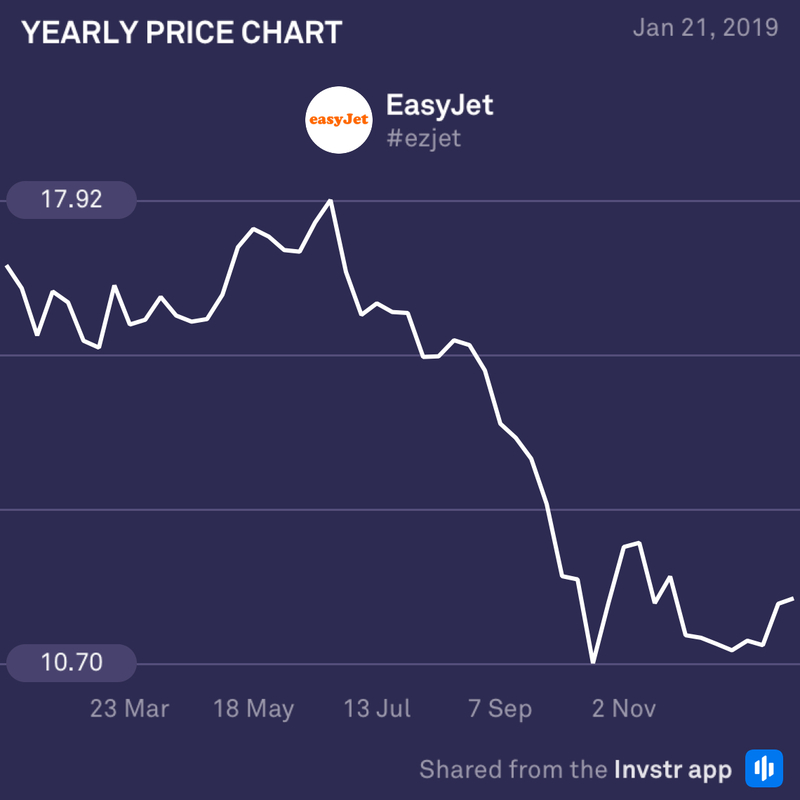 Ahead of EasyJet’s earning report tomorrow, analysts are feeling mixed about the prospects of a positive earnings report amid a tough market for airline companies. Brexit uncertainty is also weighing on the company, but having dropped roughly 30% from its July peak, investors are beginning to see considerable upside potential should demand return in 2019. This will be an important announcement so don’t be caught napping. 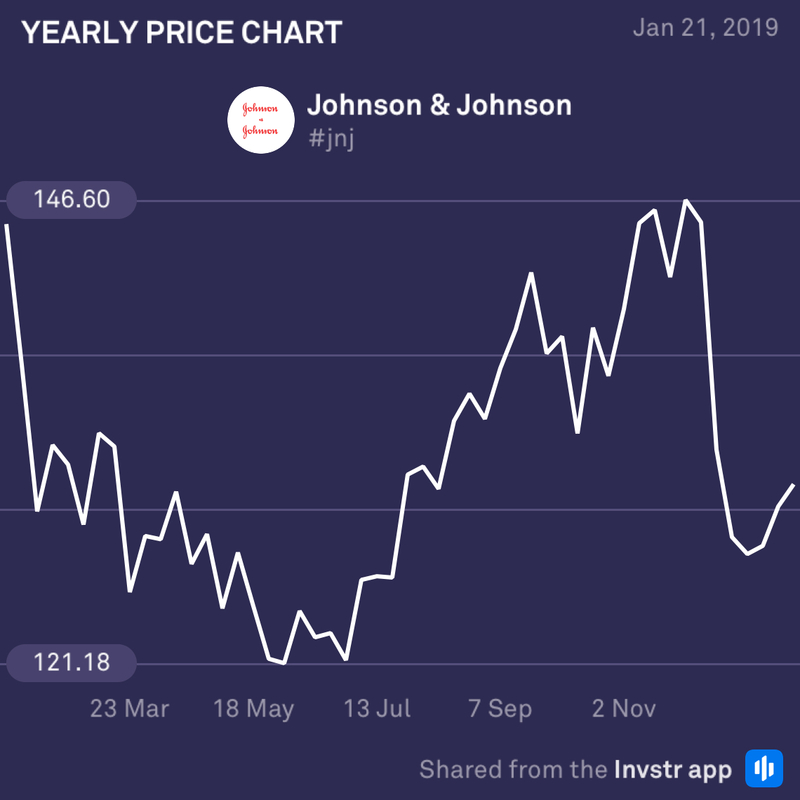 Johnson & Johnson is set to post its earnings tomorrow and investors are rooting against them. Many analysts believe that even if the company has blowout results that beat expectations, the ongoing litigation against the company over allegations of Asbestos in its baby powder will rule the day. However, the markets have been known to pull some interesting surprises out of the bag. So watch this one closely!